“‘Merry Christmas,’ I said, and leant forward to kiss him. As our lips met I felt a small flurry of snowflakes swirl around our heads. Anna is having trouble controlling her powers. Powers that she only recently accumulated, powers that can get her in serious trouble with the Ealdwitan, the head of the magical society. But they aren’t the only problems Anna has to face, she’s still a normal teenage girl and wants to take things further with Seth, the love of her life, but how can she when she’s not even sure he’s with her because he wants to be and not because of a spell? Whilst battling with this and her powers parts of Anna’s past rear their heads, things she didn’t even know about, a family she didn’t know existed, and then the haunting begins. Something strange is happening in Winter and Anna is in trouble. This review may be a little smaller than most but thats mainly because I didn’t write it straight away and I read it over a week ago now! This shouldn’t reflect badly on the book though and seriously, if you enjoyed A Witch in Winter, you will definitely love this one! First of all I want to say how much of a great second in the series this is… a lot of second books suffer from not a lot of action and too much background telling. 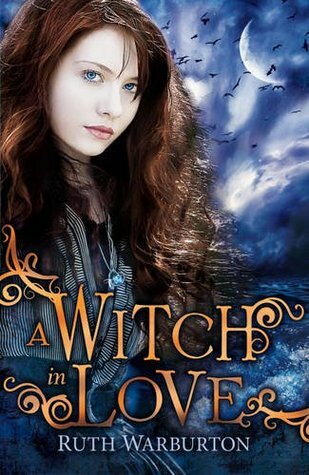 Whilst A Witch in Love covers a lot of background and answers a lot of questions I had from the first book, it also features a lot of action and some scary situations for Anna. I loved the introduction of The Malleus Maleficorum and their part in the book, they come about early on but grow steadily throughout the book and I loved the risk factor that they injected into A Witch in Love. I thought it was going to focus too much on the romance between Anna and Seth but The MM added so much more to the book. In addition to The MM we get the Ealdwitan again but this time in a different way, I was pleased to find out a little bit more about them and I loved how Anna’s family and past tied in with this side of things. I enjoyed hearing more about Anna’s mother, who was barely mentioned in the first book and the reasons behind her not being around, and Anna’s grandparents. A lot of the story does focus on Seth and Anna, but not a huge majority of it. Abe also comes into the story a lot more in this book and, well I knew where that was going from the first book. I’m not going to lie, love triangles don’t do much for me and I’m kinda glad it wasn’t a massive thing. You know Abe likes Anna and hates Seth from the first book but Anna and Abe’s relationship develops more during the course of the second and I enjoyed aspects of it a lot. I didn’t think it was fully set up though and thought there could have been a little more to it than there was but that would have risked more of a love triangle thing so I liked the balance of it all. I really did love A Witch in Love. Its not as great as A Witch in Winter but it was still amazing, great writing and great story. The only things I found really wrong were the lack of Emmaline, she doesn’t feature half as much as I hoped she would, as I love her! Also the story felt a little forced in places but not loads… Other than these things I really cant wait for a third book in this series! A Witch in Love was published on July 5th by Hodder Children’s Books. My copy was obtained from the publisher in exchange for an honest review.